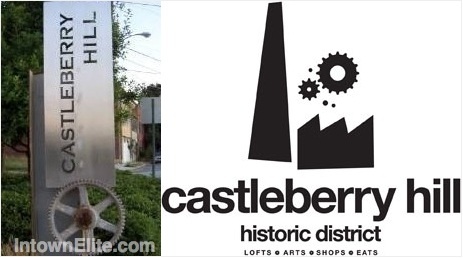 Castleberry Hill is a neighborhood in Downtown Atlanta, just southwest of the Central Business District. The community gets its name from the hill that peaks between Stonewall and Fair Street along Walker Street. The Castleberry Hill Art District is located here, as is the city's largest concentration of remnant railroad buildings. Today the area is renowned for it's conversions of authentic late 1800's to early 1900's industrial buildings into modern residential lofts. Castleberry Hill residents enjoy pedestrian access to a number of art galleries, and restaurants, as well as events at Phillips Arena, Georgia Dome and Georgia World Congress Center.